The Department of Life Sciences Communication was touched and grateful to find out that Alumna Jean A. Shipman (MS, 1964, Life Sciences Communication) included a generous gift of $99,000 for LSC in her estate. Jean (April 23, 1921- July 21, 2018) was born in Pittsburgh, PA to Abram and Agathe Shipman. Following high school graduation, she worked for 13 years for the Kittanning Telephone Company as a Telephone Operator, Long Distance Supervisor, and Assistant Chief Operator. She then attended Oregon State University where she was Parliamentarian for the Student Senate and graduated in 1956 with a degree in Home Economics. In 1956, Jean joined the OSU Extension services as Extension Home Economics Agent in Coos County, OR. She later returned to the Oregon State campus in 1962 and became an Assistant Professor and Consumer Marketing Specialist. Jean came to the University of Wisconsin campus in 1962. She earned her MA in Home Economics Journalism in 1964 from the Department of Agriculture Journalism, now known as Life Sciences Communication. Afterwards, Jean worked for Oklahoma State University for 21 years as an Assistant and Associate Editor for the Cooperative Extension Service and then Public Information officer for the College of Home Economics. She retired from Oklahoma State University in 1985. 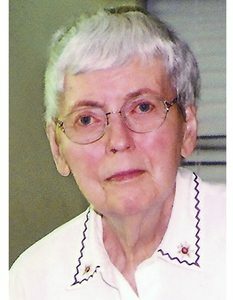 A certified Family and Consumer Scientist, Jean served the American Association of Family and Consumer Sciences (AAFCS) and the home economics profession in local, state, national, and international events, as well as other home economics groups such as home economics college editors and home economics alumni associations. Jean was first chair-elect of the AAFCS Home Economics Communications Section in 1972, Chairman of the AAFCS Council Center for the Family, and secretary of the AAFCS Research Section. She represented the United States on the IFHE Education and Training Committee in Paris; Bristol, England; and Hannover, Germany. During the XVI World Congress of IFHE in Minneapolis, Jean was the Press Room Coordinator. Among her many professional recognitions, Jean was the 1969 national winner of the Agricultural Communications Award from the Fertilizer Institute in cooperation with AAACE, and she received the AHEA Leader Award in 1986. With the help of the University of Wisconsin Foundation, LSC recently established the Jean A. Shipman Scholarship. Through Jean’s gift, this endowed scholarship will provide financial support each year to LSC graduate students in the College of Agricultural and Life Sciences at UW-Madison. Endowments work by investing a donor’s contribution long-term, using only the income generated each year to provide awards in perpetuity. “Jean was devoted to higher education and embodies the Wisconsin Idea. We are profoundly grateful for her contribution and her gift will provide direct support to the students of LSC,” says Dominique Brossard, LSC professor and chair. If you have questions about creating an endowment, or if you would like to learn about other ways to support LSC students, you can visit supportuw.org, email the University of Wisconsin Foundation at giving@supportuw.org, or call 800-443-6162.